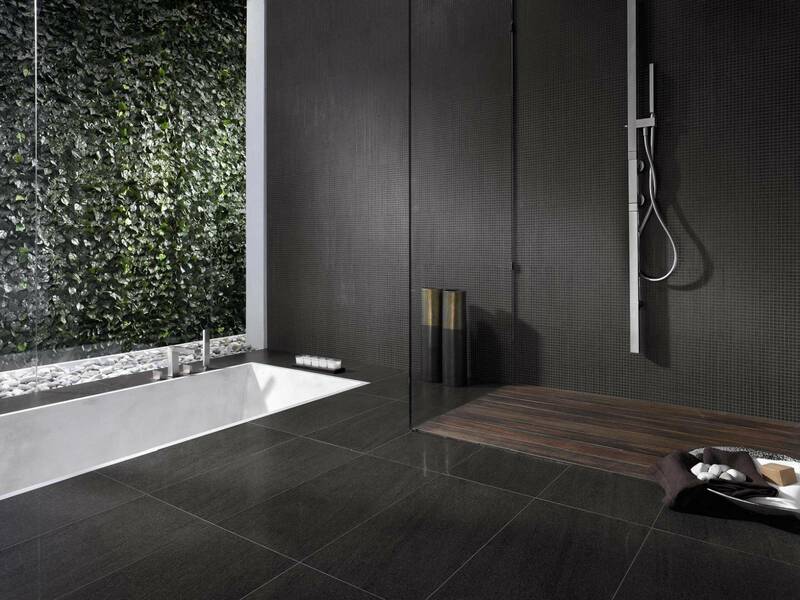 One of the things that will make your bathroom look interesting is the bathroom or modern shower curtain. 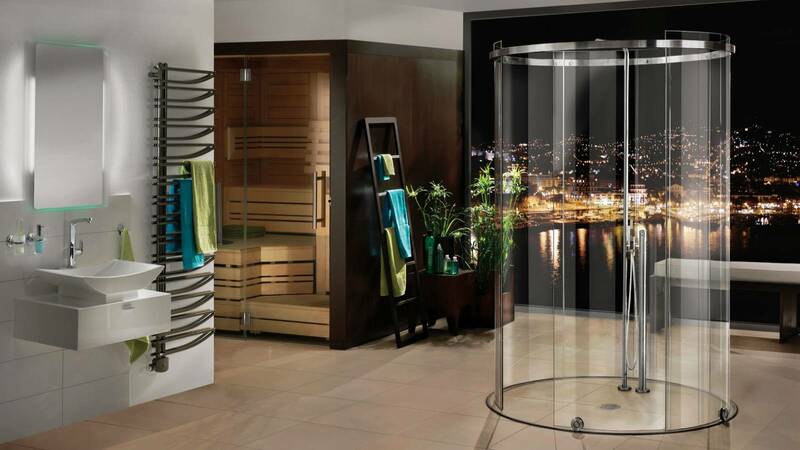 Aside from a great tile color preference and the addition of wonderful accessories in your bathroom, what will truly make your bathroom look complete is a great shower curtain. Perhaps, you have tried bathroom curtains in solid colors or those which have cartoon characters in them to interest your children. Patterns look great when they are mixed with the right elements in a room. Patterns add texture and depth to a simple, and sometimes, boring type of room. Break the redundance and monotony with patterned shower curtains. 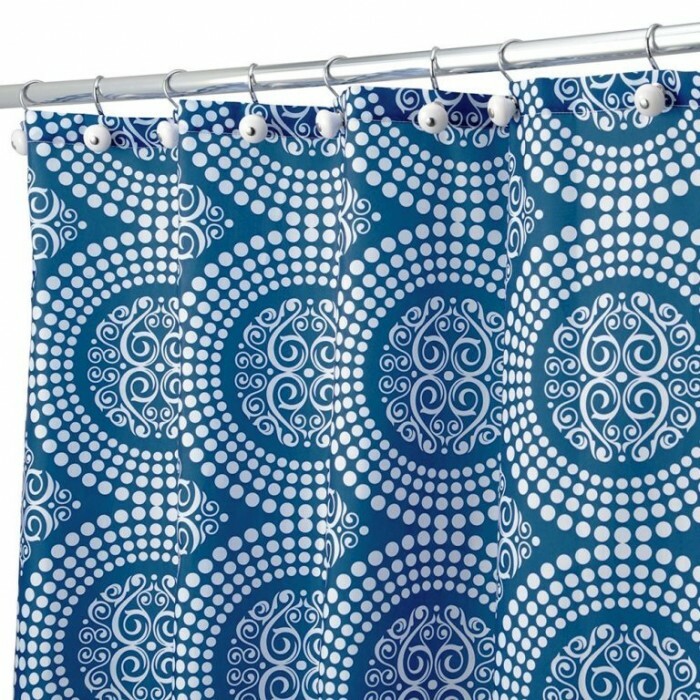 Today, we are featuring shower curtains in 10 Awesome Patterned Designs that will surely look great in a white tiled bathroom and is relatively safe when used with other colors. Check them out! 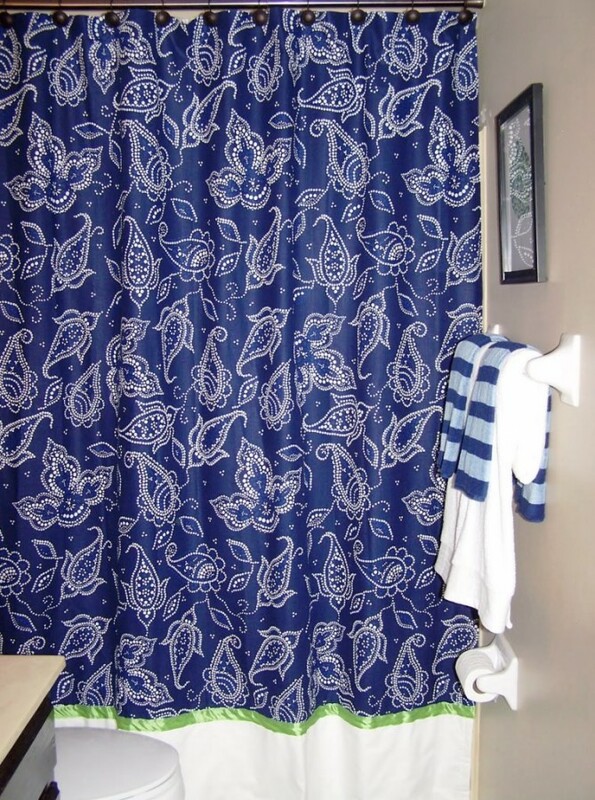 This Blue Ikat Shower Curtain from Gallery Hip gives this bathroom some life, texture and excitement. 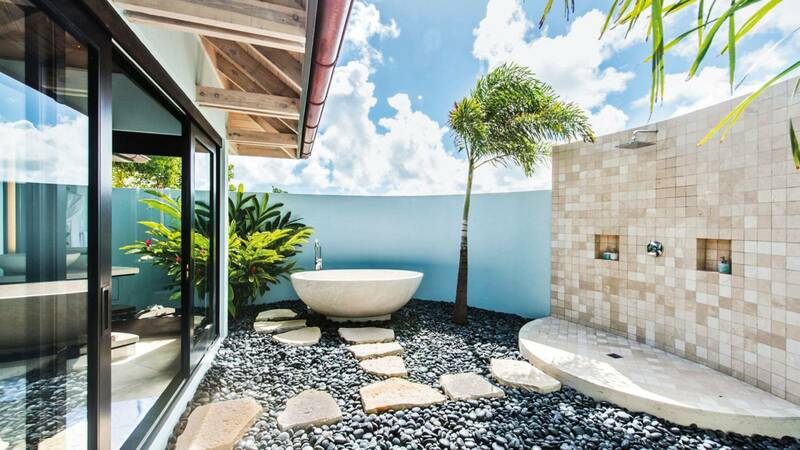 This bathroom is composed mainly of white elements and the pattern design adds some depth to it. This Bright and Cheery Shower Curtain has a design which is interesting and happy. 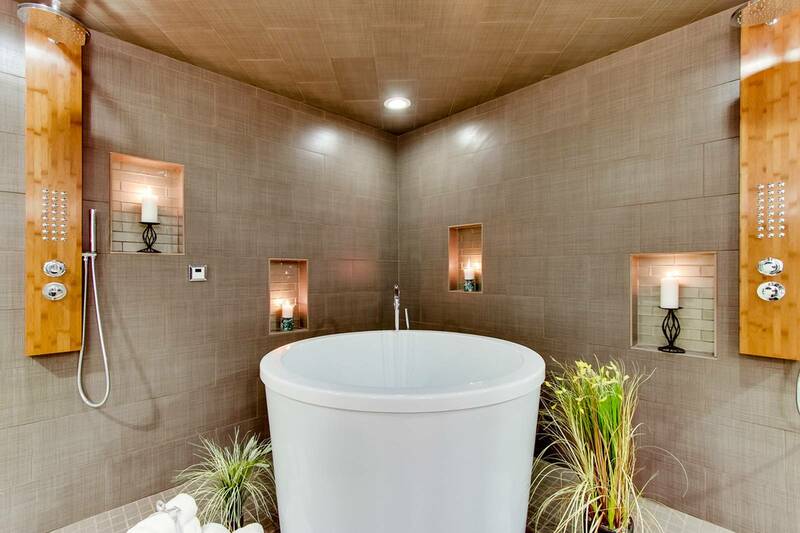 The multiple circles give an illusion of expanding the bathroom and the color combination works perfectly. 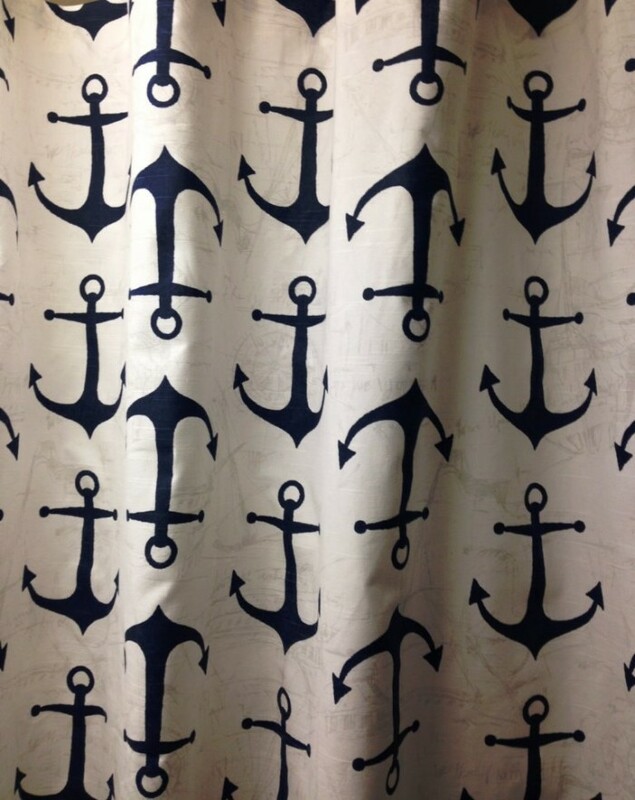 This navy blue shower curtain in an anchor design definitely looks interesting next to the tub and generally, it will look perfect in a sailor man themed bathroom. We’ve been talking a lot about how navy blue looks really perfect with white. 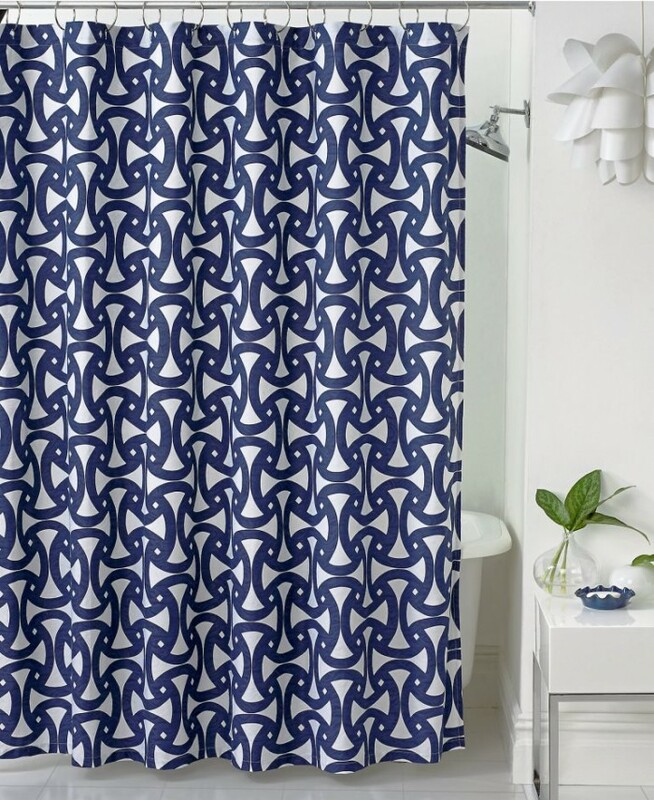 This Navy and Coral Shower curtain design from Galleryhip gives depth and texture to your bathroom. 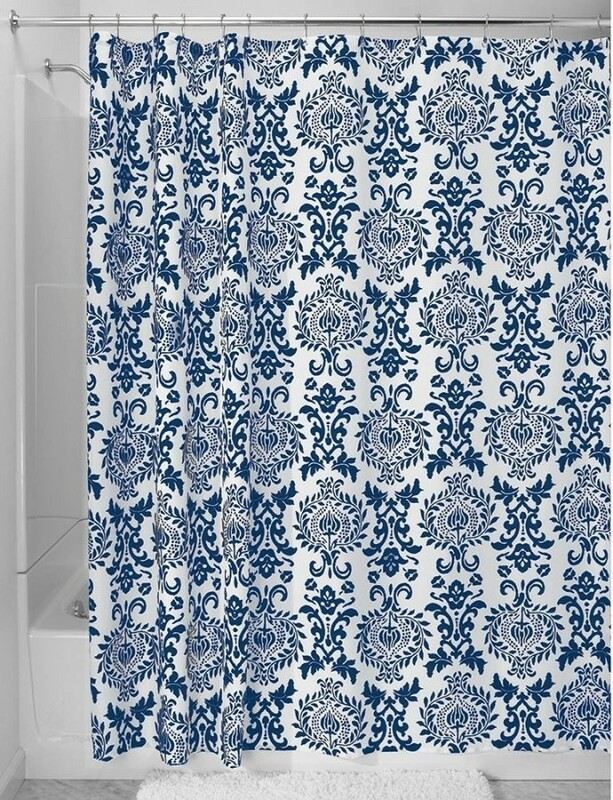 For a more vintage design, this Navy Blue and White Patterned Shower curtain is perfect next to a vintage tub! 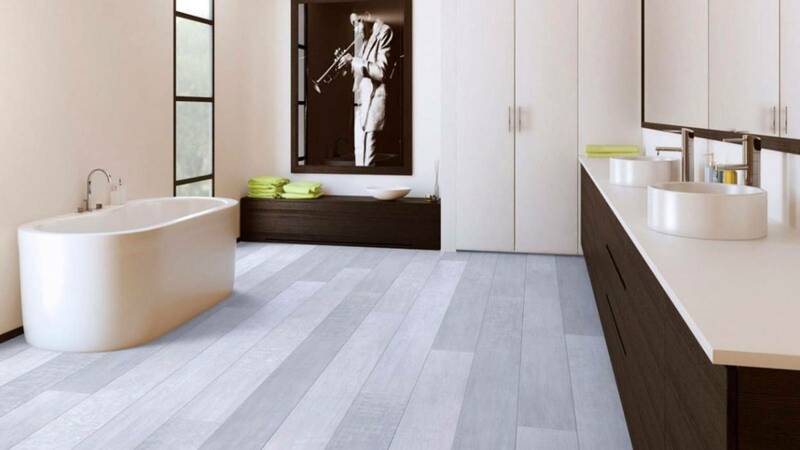 It will look very consistent with the look and feel of your bathroom. 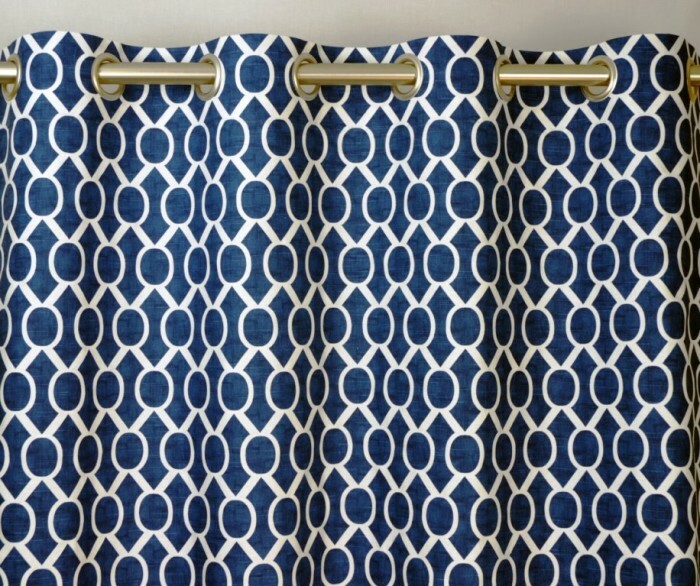 This Navy Blue Damask Patterned Shower Curtains looks heavy with prints but definitely doesn’t over do it. 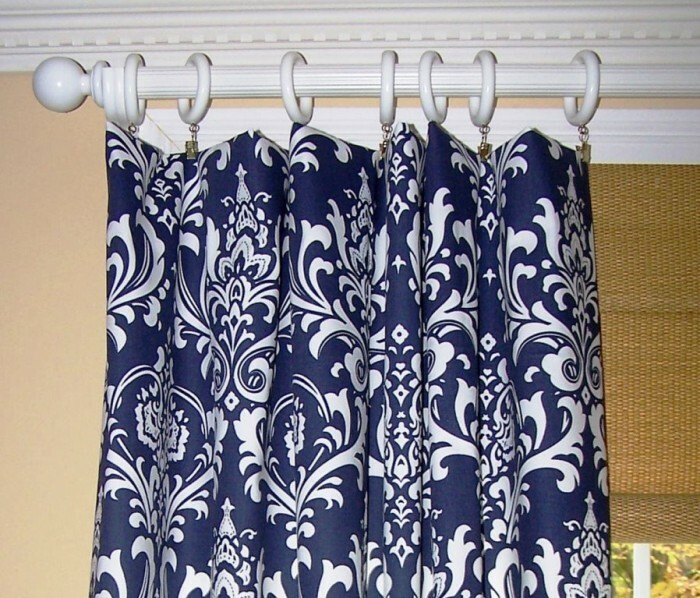 Floral prints are great designs for curtains generally. 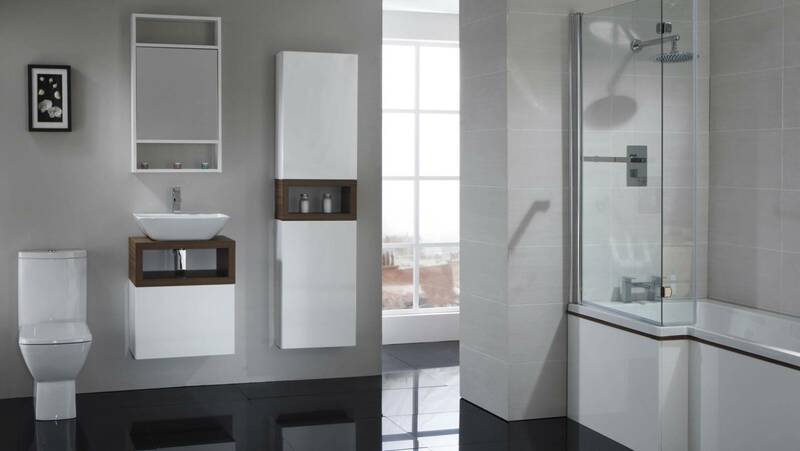 When you want something feminine and interesting in your bathroom, this design and the other designs with a similar theme, should be the best choice for you. 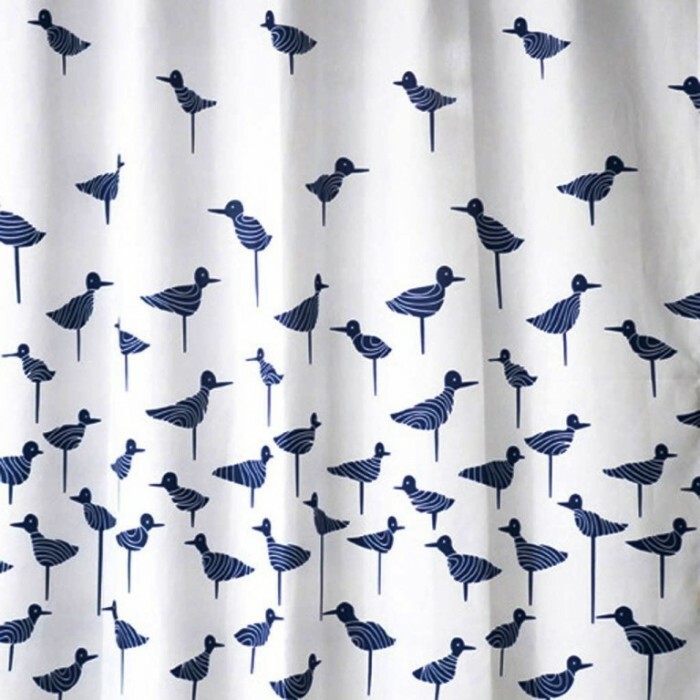 This Navy Blue shower curtain from Lovely Decor has a nice arrangement of birds. This is one of our unique designs for this collection because you rarely see this type of shower curtain design. Normally, you would see flowers and different geometric shapes. 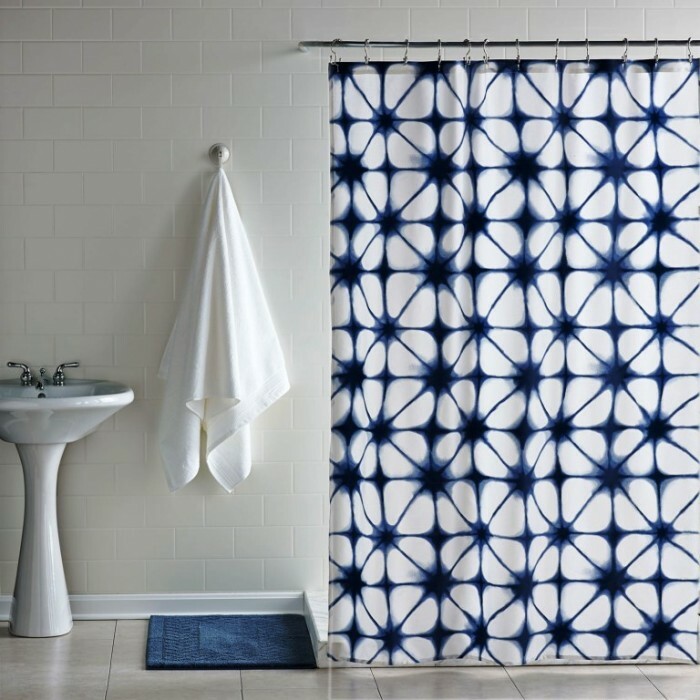 This Navy Blue Santorini Shower Curtain has nice geometric shapes printed against a white curtain. 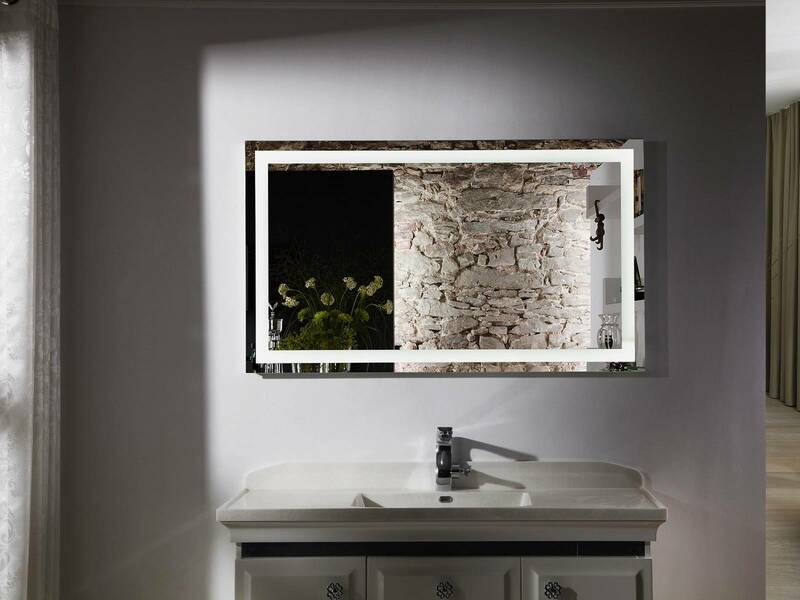 It adds depth and texture to your bathroom. Using white as your base color makes everything all interesting and beautiful. 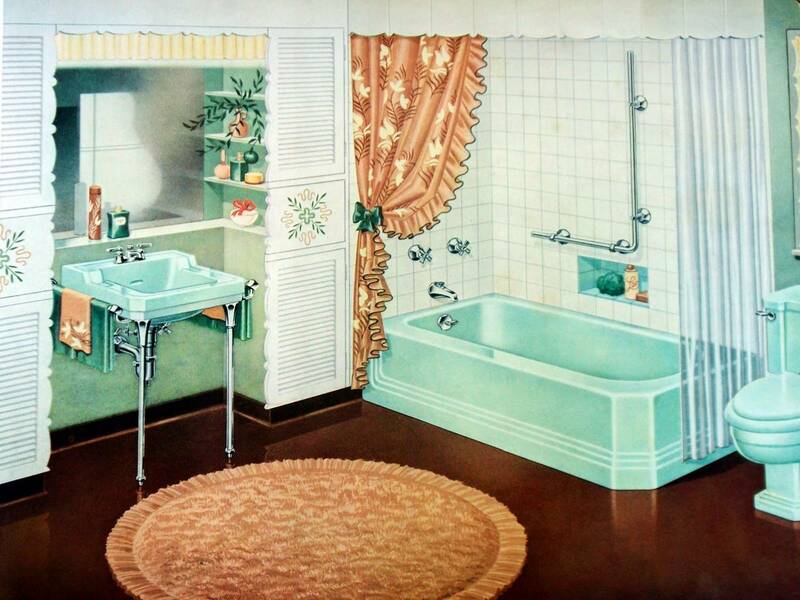 Take a look another vintage curtain design from Mostic which you can use in your all-white bathroom. 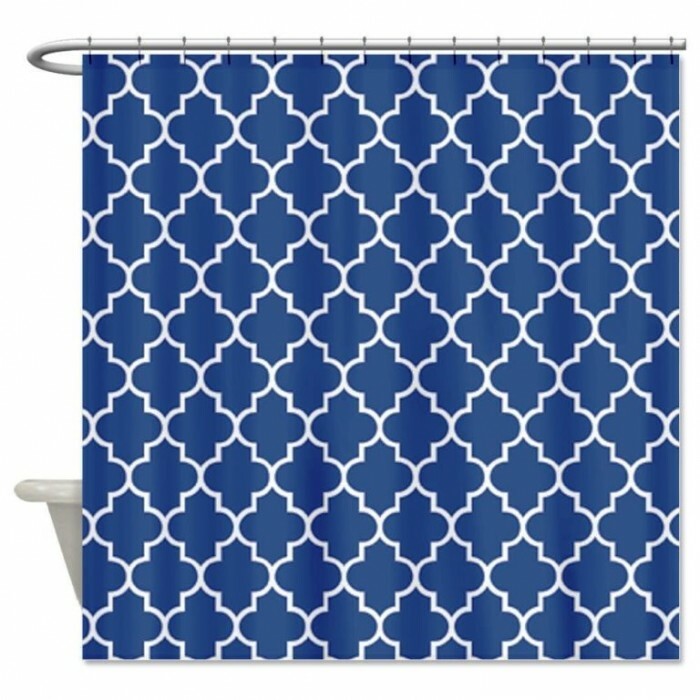 Take a look at another navy blue and white shower curtain in a vintage design. 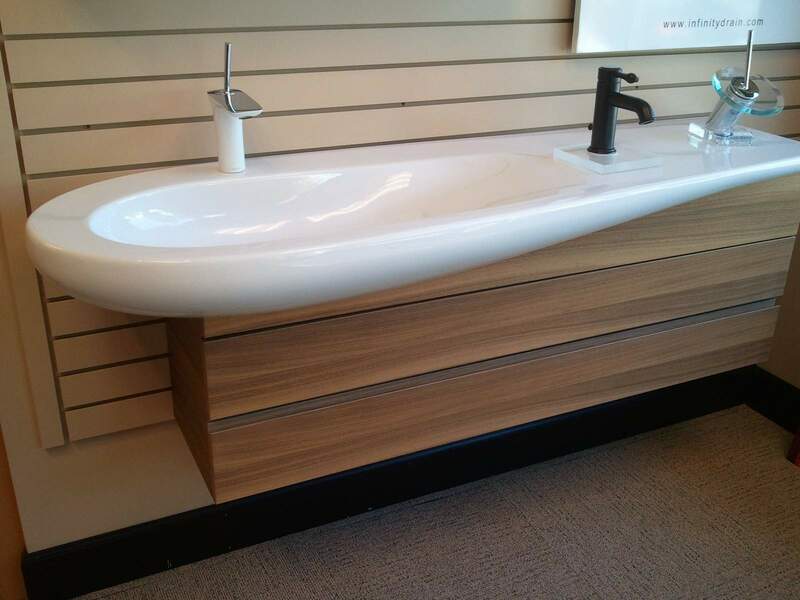 It has been customized with a green ribbon and extension, perhaps, to really separate the water from getting to the toilet area, keeping the toilet area dry. 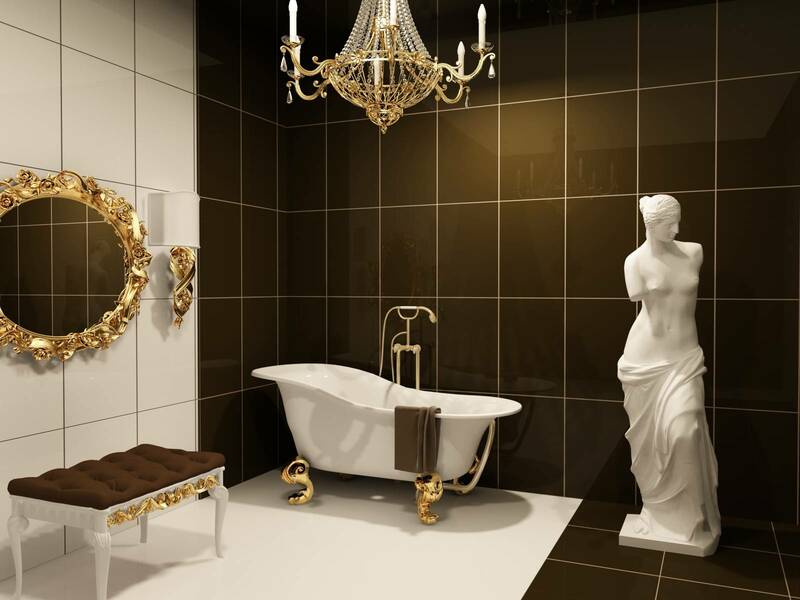 This design will blend in with your vintage bathroom.